Anco Turf, like any quality turf supplier in Australia will tell you that laying turf properly and at the right time will give your lawn the best chance for a long and healthy life. Most lawns need frequent watering during the early weeks to ensure that the turf and soil fix together well. You want to achieve a deep-root system, and water encourages this, so laying turf during spring and autumn or a consistently rainy period is a smart idea. Anco Turf also recommends laying turf at least 3 weeks prior to heavy foot traffic. It is best to allow your turf to establish evenly for a few weeks; refraining from walking or running on the grass is the best way to guarantee the best start for your instant turf in Australia. Step 2 – Level and compact your soil to eliminate air pockets and give your lawn an even base. Step 3 – Lay your turf the same day it is delivered to optimise the growth and to avoid the turf from drying out. Step 4 – Stagger your rolls of turf in a brick-like pattern to avoid gaps when the turf shrinks slightly. Keep turf snug without overlapping. Step 5 – Water heavily once your turf is laid, and consistently for the weeks following. Step 6 – Avoid walking on your newly laid turf. 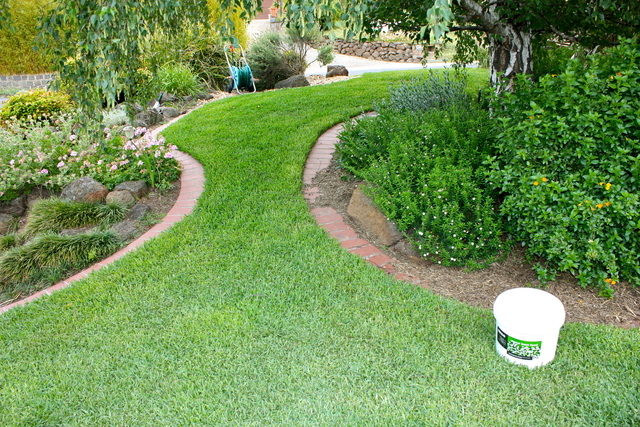 Step 7 – Create a schedule for regular watering and maintenance of your new lawn. Lawns are meant to be enjoyed. Whether you are considering laying lawn in your backyard, court-yard, or for commercial or multi-purpose use, buy your instant turf from the leading turf supplier in Victoria, Australia, Anco Turf.